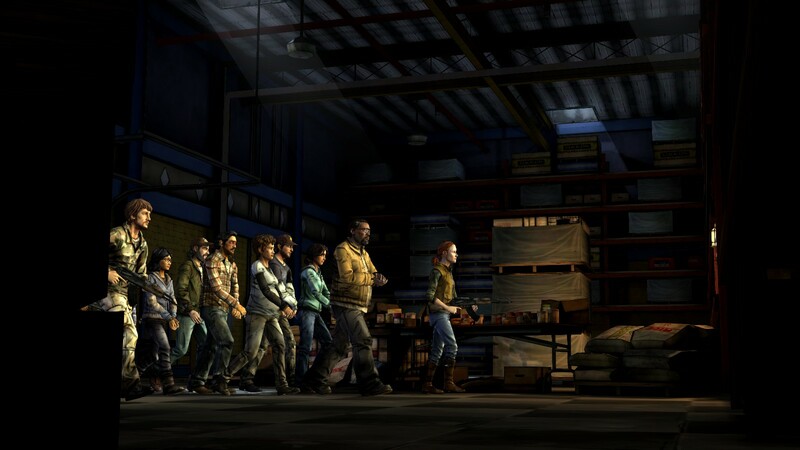 When The Walking Dead first hit I was amazed what Telltale was doing with the adventure genre. Well into the second season of the game and they continue to make my jaw drop with what they’re doing. 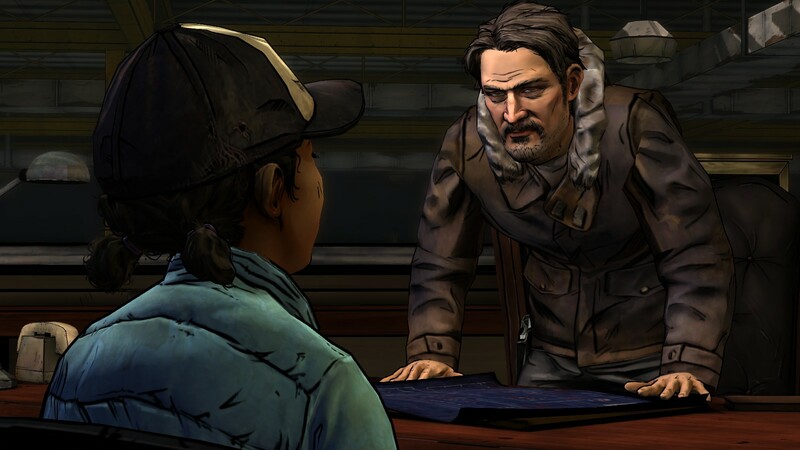 A lot of that has to do with their story-telling methods and the simple change of shifting the protagonist for the player from Lee over to Clementine which has resulted in some dangerous situations and definitely some dire consequences for her and her new companions as the series has moved on. The build-up of Carver as the enemy for this season in the first episode leading to a showdown in episode two and now with us having to deal directly with him as he’s brought us in as part of his group has left the player dealing with some pretty heavy circumstances. 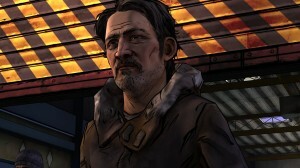 It’s a great place to be in as Telltale handles this middle chapter of the story amazingly well. I’ll try and keep the spoilers to a minimum, but if you haven’t played any of the season two episodes yet, you’re out of luck. Depending on how things played out in the last episode, Carver and his group showed up at the lodge you were all holed up at and ended up taking hostages and maybe killing a person or two for good measure. It followed The Walking Dead story device of when something look far too happy or easy that it’ll end messily. So Carver takes his prizes with him and his crew back to his home base and decides to extract a little revenge while increasing his flock. Carver’s taken over what used to be some kind of hardware store judging by the look of things, complete with an outdoor seasonal area that they’ve managed to secure. Right away they separate you and put you all to work, giving the player, as Clementine, plenty of chances to try and work with the different people at Carver’s facility to try and win them over or at least use them to get what you need, which is an escape plan that won’t get them all killed. It’s your basic post-apocalyptic version of the Great Escape with zombies, crazed and abusive guards, and one smart little girl who’s seen far too much but is doing the best she can. The story is pretty straight-forward here with a few chances to do slightly different things, and the ending is going to get messy, but how messy it is for you personally is definitely up to you as the player. The group trusts Clementine to get things done. Even Kenny who’s just trying to be as protective as he can. While she’s definitely not in charge, they at least listen to her ideas and include her in most of the conversations now. It’s interesting to see how they’ve slowly changed that dynamic this season and by the third episode it really works. 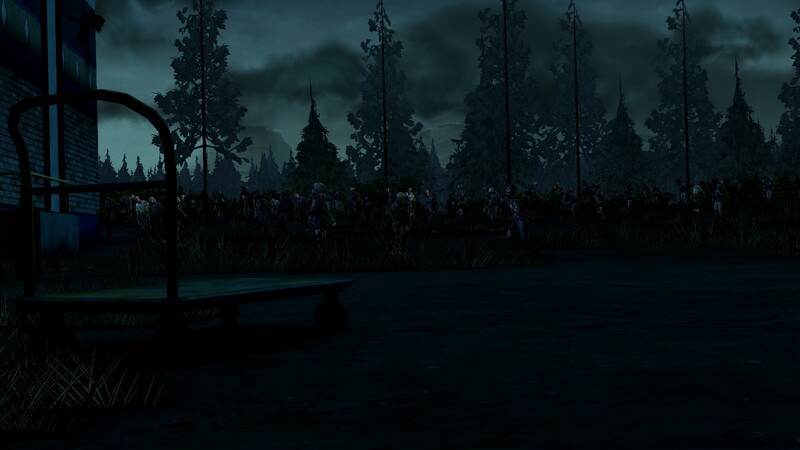 Telltale haven’t forgotten that Clementine isn’t as strong as the others though, or nearly as tall, and the fight and escape sequences still play to that strength to move things along. 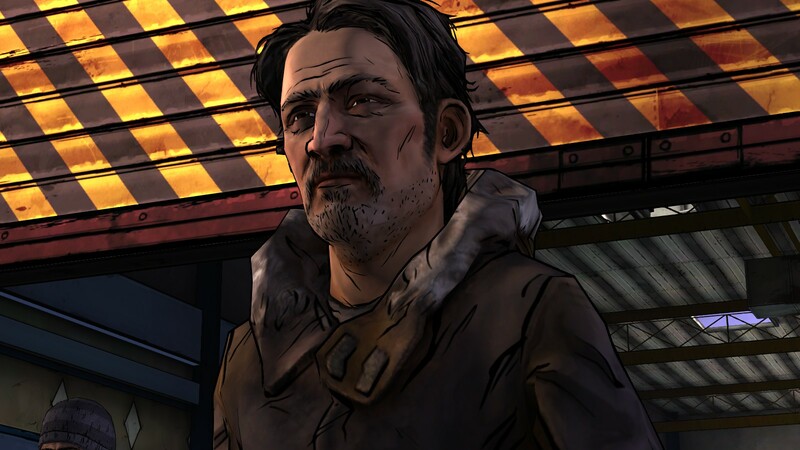 This is some great story-telling and as much as you come to like some of the people you work with, Telltale’s villain in Carver also really drives home the predicament you’re in and depending on how you respond he’ll either try to woo you over to his side or put you in what he thinks should be your place in his little world. I think my only complaint is that we didn’t get to see the 400 days cast more. They’re around and there are a few interactions, but it’s limited. Visually this is a lot like the past few episodes. They manage to work in a number of shots that give you a much bigger view of the situation and where you’re at, but a lot of this is going to be up close and personal. The camera never gets in your way while you’re playing and the different areas you do get a chance to do anything in are pretty detailed for what we’ve gotten before. I will say that some of the scenes are a bit more graphic than we’ve gotten before. That includes the first episode of the first season where Lee bashes the face of a zombie in. Honestly, towards the end of the episode my jaw kind of fell through the floor at the sheer brutality of the one scene. You’ll get which one I’m talking about if you play through. You’ll know the moment when it hits. Madsen as Carver continues to be creepy and raises the bar on the whole insanity meter a number of times depending on how you talk to him. You definitely get the feeling from the start that you still don’t want to be alone in a room with the guy even if you’re on his good side because you never know what will set him off. The rest of the voice cast does a fantastic job with their parts, which coupled with everything else made this episode highly engrossing. 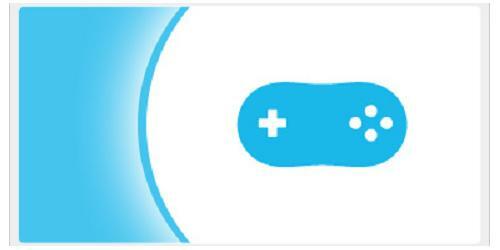 I won’t go into the controls or gameplay too much as it’s largely unchanged since the first episode started it off, but if you’re curious check out what I have to say here. There are a few different moments where they change things up a bit, one where you’re trying to steal some needed equipment and how you go about getting it, and another is when you’ve gone off looking for someone. 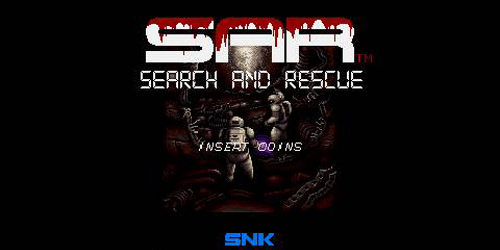 Other than that the combat sections are pretty much par for the course and the puzzles are fairly straight forward and not requiring you to go hunting for too much or too far from where you start. Like the other episodes, there is some replayability here with minor variations coming into it depending on how you played previous episodes. Carver’s interactions with you can be very different, who’s actually at the camp and interacting with you can change depending on if and how you finished 400 days from the first season, how you responded at the lodge and who made it and who didn’t, and a number of other things. There’s a few different options for plans and how you go about finishing them and especially how you interact or try to convince others without getting yourself hit. They kept the regular trophy system in place so you don’t have to play through multiple times like The Wolf Among Us to get them all which is both good and bad depending on how you look at it. The episode runs at about two hours. I actually finished it a bit sooner than that by about fifteen minutes, but it’s been running the average with each successive episode. It’s still looking like it’ll run about ten hours when it’s done, that’s without replaying it at all. That’s still a really decent deal for the price they’re asking for it and The Walking Dead has been worth it at nearly every step this season. Even if the next two episodes aren’t entirely up to par it’ll still have been worth the price of full admission as you can’t piecemeal the PC version like you can the PS3 version. Carver and his group were just the big bads this season needed to give it a bit of direction and the supporting cast that Clementine has allied herself with took some time to grow on me but I find myself hoping through every encounter that they all make it out alive. 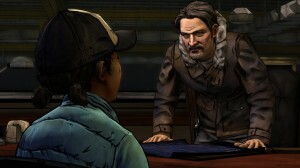 While it’s a similar situation overall to things we’ve seen from the television show and the comics, these are very much Telltale’s own characters and set-ups now and they’re doing a great job keeping things going and feeling like something we haven’t really seen before, so as far as originality goes, they’re doing a great job story-wise, but I’d love to see a little more variation in the gameplay. It’s been pretty straight-forward this season and the story has really carried the bulk of the weight and it works, but a little reminder that it’s a game now and then wouldn’t hurt either. I blew through this episode in one sitting. It’s pretty quick for a two hour jaunt and moves right along, never once having me look at my phone for the time. The only time I paused it to put it down was to explain my momentary state of shock and disbelief towards the end of the episode to my wife, and then I promptly went back into it. My only complaint about this is that I want that next episode now instead of having to wait for it to come out later this year. This is the bane of great episodic storytelling and why I binge watch tv shows off Netflix. There’s a lot to like here, especially if you’re a fan of the Walking Dead comic or show. It’s priced more than reasonably, plays really well, has a great and engaging story-line and is one helluva an emotional roller coaster. Even if you’re a bit squeamish with games it’s easy to recommend this series because they’re doing such a great job with it. The only issues I noticed when I was playing were slight visual glitches where the camera would shift focus but it’d play the last half-second or so of a previous set of animations over again. It only happened twice that I can remember but it was enough to let my brain try and comprehend what I was looking at before going back into it. The dialogue doesn’t have any real pauses to it and flows really well and I didn’t have any of those loading stutters that plagued me through first season so I’m fairly confident in saying they’ve fixed that part of it. While I had some reservations on playing this, all for personal reasons as I haven’t had my head in the game for awhile, Clementine and crew provided some much needed therapy to get me back into the swing of things and I’m very glad to be helping her and her group of survivors navigate the mess that is the zombie-infected Earth. 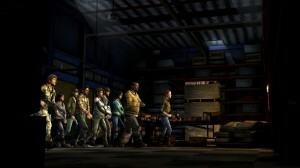 While The Walking Dead Season 2 has turned a bit less into an adventure series and more like an interactive story, relying less on figuring out any kind of puzzles and instead focusing on using the character interaction and situations to drive the player forward, this has led to the series becoming even stronger as it skirts the fine line there and gives us some great characters that not only are we invested in, but we’re afraid we’re going to lose. Clementine has come into her own this time around, definitely more part of the group and even the one they’ve come to rely on even though she’s just a kid, because circumstances and life experience have made her far more than that. There’s a clear villain once again, showing up from our previous episodes that has to be dealt with and that’s something we didn’t really have with season one. This one leaves us on a cliffhanger more than any of the other episodes this season and it definitely leaves you wanting more.